This vibrant South Dakota sunset portrays the warm beauty of the state. The distant farm signifies the agricultural lifestyle of years past through today. 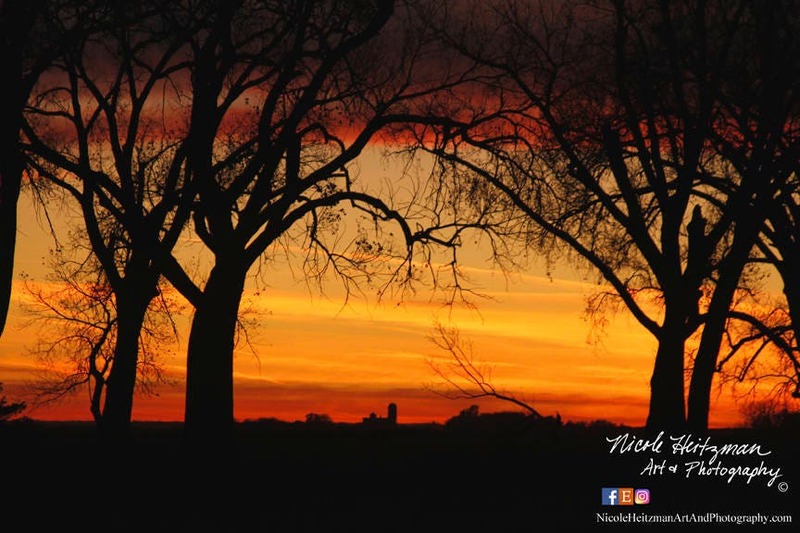 Artist and Photographer, Nicole Heitzman, captured this image on a beautiful fall day near a creek & farm in eastern South Dakota. Color may vary on screen from actual print.